Designed keeping the latest trends in mind, this printed saree from the house of Demarca will be a nice addition to your closet. It has been crafted from chiffon and banglori silk fabric, which offers comfort and ensures easy maintenance. 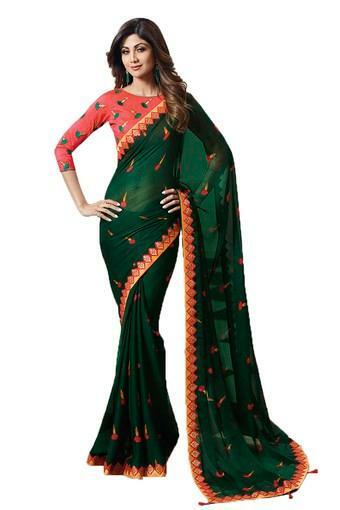 The length of the saree is 6.20 metres. Besides, it also comes with an unstitched matching blouse. Add to your casual wear collection this saree. Pair it with matching sandals to complete your look.